Periodontal disease develops when bacteria collect along the gum line and cause inflammation. Symptoms can vary from mild – red or swollen gums, for example – to more severe issues, such as when the teeth become loose or bone is compromised. When pockets begin to develop between a patient’s gums and teeth, a specialized gum disease treatment known as root planing and scaling may be indicated. In performing root planing and scaling, a periodontist will aim to rid the area of the oral bacteria by thoroughly cleaning the space between the tooth’s root and gums. Rough spots on the root may also be smoothed out to limit the locations in which bacteria could collect in the future. A periodontist typically can perform root planing and scaling in the office with local anesthetic, although some patients may prefer to add sedation if they are particularly anxious about the treatment. Patients who fail to seek gum disease treatment in a timely fashion may find that their condition will require a more invasive, even surgical procedure. Some patients may need to undergo a gum graft in order to replace the tissue that has receded. Healthy gum tissue is taken from elsewhere in the mouth, or from some other donor source, and inserted at the site of gum recession. 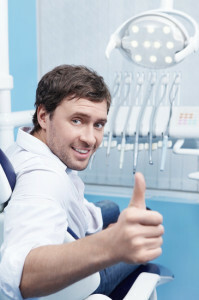 Lost bone due to gum disease can warrant a similar procedure in which bone material is grafted into the targeted site. Healthy gums are essential to your overall oral health. If you notice any signs of periodontal disease, consult with one of our skilled specialist as soon as possible to learn about your treatment options and to develop a follow-up plan to reduce your risk of relapses. Delaying treatment can lead to deleterious consequences for your smile and your general health. Contact PerioNYC today to schedule your visit. This entry was posted in All, Blogs, gum disease treatment, Periodontal (Gum) Disease, Periodontist. Bookmark the permalink.